These Space Mats are now available in the online store. 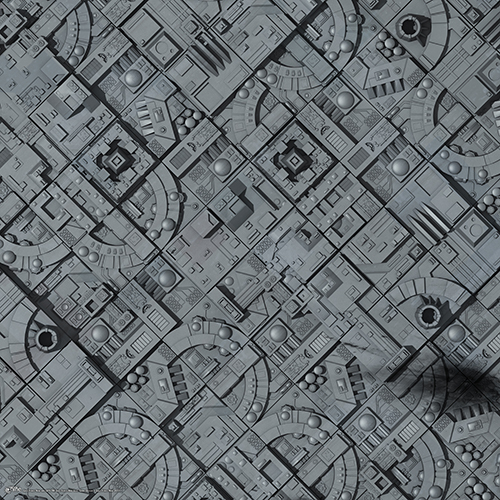 Fighting on these new space mats will keep your games interesting and fun. That's no moon, son! That's a solar resort space station. Well, it was a solar resort space station before the war. After the war began, throughout the Seven Sectors, all the major resort stations were commandeered and converted into military bases. Swimming pools were replaced with acid refineries and golf courses became star-fighter storage. It was a sad day indeed for the luxury vacation industry. What lingers in this patch of space is the stuff of travellers' tales and legend. Most avoid this sector, but smugglers exploit its fearsome reputation to avoid the authorities. While most ships pass unharmed, some disappear without a trace. Some say if you linger in this sector too long, you may receive a mysterious distress call, and that you don’t want to respond to it. 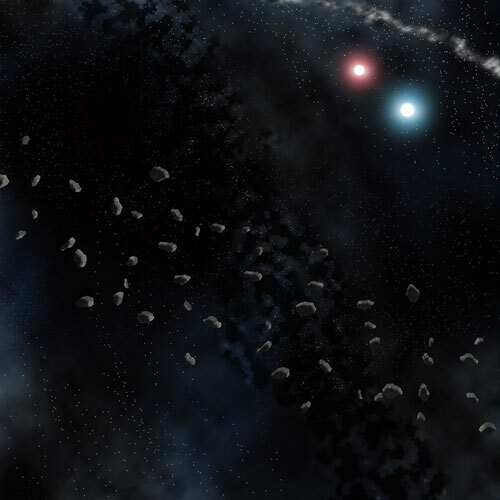 The Asteroid field of the binary star system of Quantus Five has been fought over for centuries. The rare material Strix has been found there in large quantities among the wandering rocks that occupy this sector. Once the home of the Intergalactic Peace Corps that maintained peace throughout the Seven Sectors, it is ironic that it is now a place of constant conflict and turmoil. The Frozen Planet Class 46b nicknamed the Cold Mistress by the locals is a well-known prison planet. There are no jails on the planet; prisoners are simply left there to fend for themselves or die. Recently many of the local political prisoners have been relocated to this planet, causing a great deal of conflict in this area. Battles erupt around the planet constantly, making it one of the most dangerous planets to fly near in the Seven Sectors.. The neutral zone of Pegasus 6 has always been in conflict. Many worlds fight over the rights to harvest the rare and peculiar asteroid-sized Static-Stem beetles that inhabit the Nebula. Once harvested, these beetles can be used for a massive array of commercial products, ranging from haircare products to one of the most efficient fuel sources known throughout the Seven Sectors. It is rumoured that the traders of Rimmer Spectrum have found commercial uses for all but one part of the Static-Stem beetle. The Ypres Expanse is a little-known stretch of space. 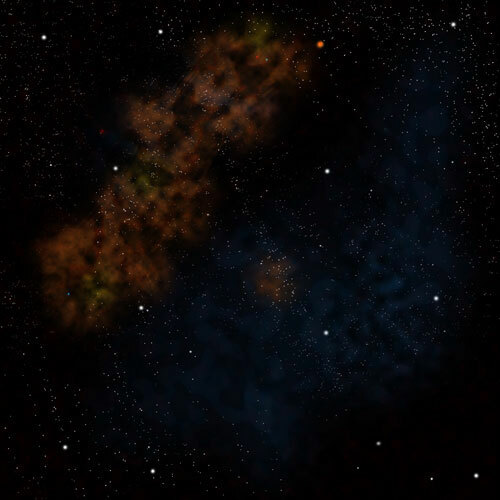 Due to a bizarre and mystifying spacial anomaly, from within the Ypres Expanse ships fitted with a delta wave transmitter can connect to network signals from anywhere in the Seven Sectors, and some say beyond. Because of this anomaly, the Ypres Expanse is a favoured spot for hackers and information traders. Military research labs have even been built there, in hopes of retrieving knowledge and technology from beyond the Seven Sectors.